Looking for a Little Halloween Fun? 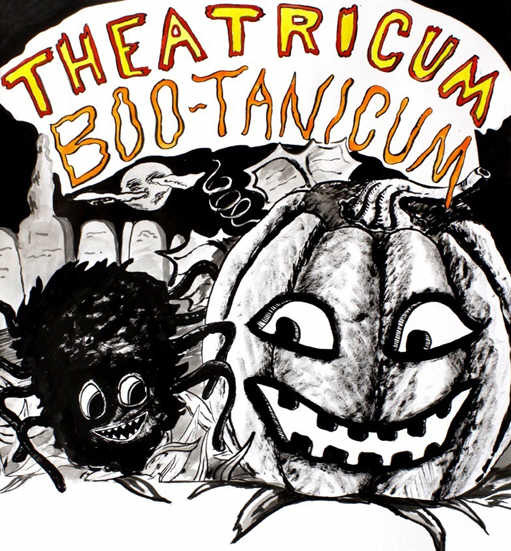 On October 25th, from 4:00 – 11:00 pm, Theatricum Botanicum becomes a Halloween destination for families at the 3rd Annual Theatricum BOO-tanicum! Come for food, costumes, pumpkin carving, scary storytelling by Theatricum company members, games and a haunted house to boot. Perfect for ghosts and goblins of all ages. For tickets and more information call (310) 455-2322 or visit www.theatricum.com/bootanicum.htm. Tickets are $15 for adults. Free admission for kids 5 and under. The BOO-tanicum will take place at Will Geer’s Theatricum Botanicum, located 1419 N Topanga Canyon Blvd in Topanga Canyon. Boo! The Haunted Grove Experience is an annual fundraising event presented by the Redlands Shakespeare Festival that will take place Oct. 25, 26 & 27. It features wine, food, classic haunts, and vignettes featuring the Bard’s most notorious villains, monsters and tortured characters set in and about the orchards and gardens of a private estate in Redlands’ posh south side. Sorry, this one is for adults only, and is not suitable for children. Guided tours are 90 minutes long and include a four course meal served at stations throughout the tour where the wine is free-flowing. Tours begin every half-hour throughout each evening. Tour sizes are limited and tickets sell out quickly each year. Guests must be at least 21 years old. Click the links for Information and Tickets.